America’s operating rooms have an international reputation for driving surgical innovation. But they are also the setting for high variation in performance, as evidenced by the fact that 10 percent to 15 percent of patients experience serious post-surgery complications. This means millions of patients are at risk, yet insight into the root causes of performance variation remain an elusive “black box.” In the absence of this understanding, some hospitals cite the uniqueness of its patient cohorts as the primary driver of variation. That has the unsettling ring of blaming the patient for his or her subsequent complications. Further, it raises the question of whether or not the hospital has a reliable risk stratification methodology for its patient cohorts, and if not, why not? We can predict the reason and it’s a valid one. Risk stratification at scale depends on data insights, and most perioperative data—a full 80 percent of it—is either uncaptured or unstructured. To establish perioperative best practices, hospitals first need to harness the massive volume of data where actionable insights currently hide. With the convergence of IoT medical technology and healthcare analytics, they finally can. Significant workflow enhancements can be made, for example, via performance analytics that consume structured preoperative and postoperative data from the EMR, surveys and patient outcome assessments. But real actionability is made possible with the addition of point-of-care data acquired within the operating room itself, largely from various connected medical devices. Combined with structured preoperative and postoperative data, this provides clinicians with both aggregated and granular data visibility. Now enabled with the clinical full picture, clinicians can focus on putting the data into action. Circling back to risk stratification, let’s take a closer look at how this works. First, providers must document an individual patient’s risk factors. Then, using a validated risk calculator, a personalized risk assessment can be created (and communicated to the patient). Then, it should be included in an aggregation of patient risk assessments. From this collection of data, along with other data sources that include data pulled during the patient’s surgery, automated risk stratification reports can be immediately available for ICU managers to help prioritize and tailor recovery pathways. These reports could also indicate complication risk and compliance percentages versus targeted benchmarks. All patients are inherently unique, but that doesn’t mean most of the variation in surgical outcomes or costs is unavoidable. In fact, a significant amount of variation can be reduced by meeting targeted benchmarks—say, for reducing infection, readmissions, length of stay, or even amount of pain experienced post-surgery. These benchmarks and best practices can be crystalized after aggregating and analyzing procedure and surgical documentation, such as reports, vital charts, videos, images, and checklists. One strategy used in operating rooms around the world is to automate the collection and aggregation of operating room video recordings with key procedure data, including some of the above mentioned checklists and vitals data. Advanced technology can also retrieve surgical videos and images from any operating room integration system. 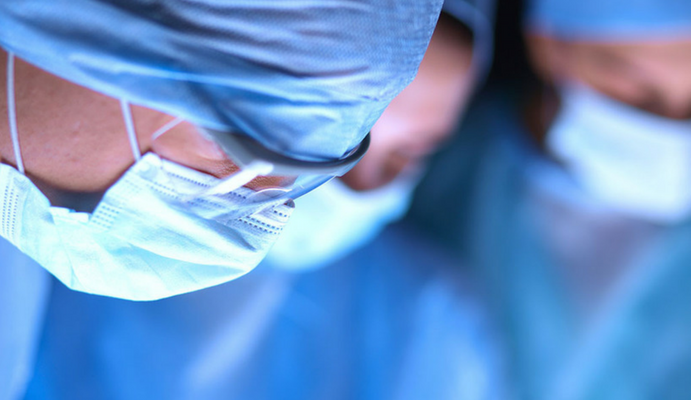 Once surgery and vitals are recorded in a synchronized way, the ability now exists to identify and create a standard protocol that can go into a pre- or post-operative brief. An additional use for this data includes streamlining post-operative report building, especially for payer reporting and internal quality initiatives. While there is a little time left to report 2017 data for the first official year of MACRA MIPS, this will be a continuing need. Pre-operative risk scoring is sporadic at best, again, due to the lack of an ability to harness the necessary data. But the same data aggregated to create benchmarks and best practices can be used to create robust and highly accurate risk scoring to see what the possible harm could be to a surgical patient. In parallel, protocols also identified from the data can help to mitigate this risk. In a hypothetical example, perhaps in one hospital more than 11 percent of patients undergoing non-cardiac surgery experience post-op infection. Predictive analytics reveal that the number of times certain thresholds were reached during surgery correlated with outcome measures. Evidence from this research can be incorporated into a decision support system that monitors the patient’s score and sends alerts when care plans are veering off course. Reductions in infections—and corresponding length of stay and readmission—soon follow. Persistent opacity into root causes of variation is untenable. Quality-based reimbursement programs such as MACRA MIPS rely heavily on analytics of surgical performance, with a full 60 percent weight given to quality. Meanwhile, patients are aging and becoming frailer. This could increase post-surgery complications to an even higher rate than it is now. Clearly it is time to innovate not just how we perform surgery, but also how we improve performance. Dennis Kogan’s column "Finding the Elusive Insights to Improve Surgical Outcomes" was published on December 20, 2017 in HIStalk. Dennis Kogan, MBA is co-founder and CEO of Caresyntax of Boston, MA. Dennis Kogan is the co-founder and CEO of caresyntax. Originating from a family of surgeons tracing back three generations, he possesses a keen awareness of the impact that new technologies can bring to surgical innovation. Dennis understands the challenges of the digital health industry, having co-founded and run two companies himself before co-founding caresyntax®.